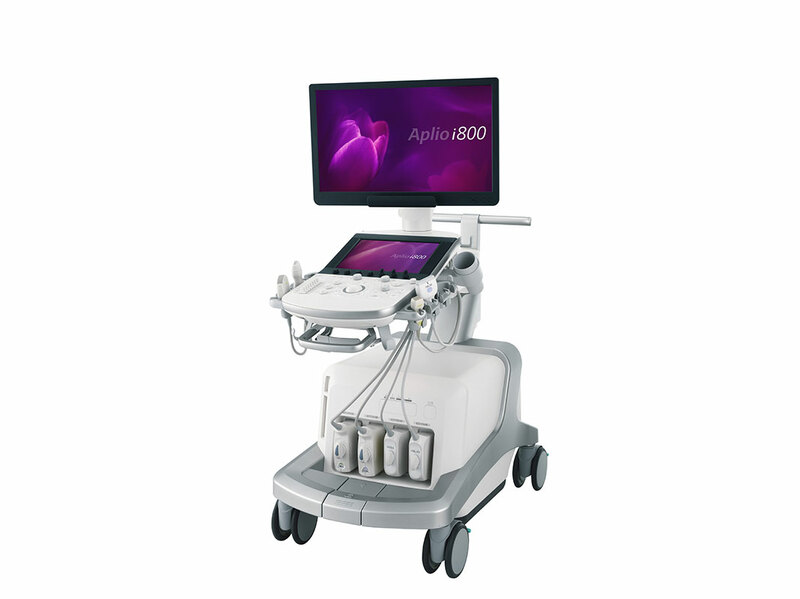 A suite of tools to assess the spectrum of liver disease (including Steatosis, Inflammation and Cirrhosis) on Canon Medical Systems USA Inc.’s premium Aplio i800 ultrasound system has received FDA clearance. The industry’s most comprehensive Liver Analysis Suite is available on the Aplio i800, and may be helpful in the assessment of liver diseases such as steatosis, Non-Alcoholic Fatty Liver Disease (NAFLD) and/or Non-Alcoholic Steatohepatitis (NASH), which are characterized by elevated levels of fat accumulation in the liver. Canon Medical Systems’ Liver Analysis Suite equips clinicians with diagnostic imaging tools to facilitate the analysis of Fatty Liver Disease. In addition to Shear Wave Elastography imaging, the new suite adds Attenuation Imaging (ATI) and Shear Wave Dispersion (SWD), two features that allow health care providers to visualize and quantify tissue attenuation and dispersion slope, which is a property related to tissue viscosity, for a more comprehensive evaluation of the liver. In addition to the Liver Analysis Suite, a wider range of transducers, available on the Aplio i-series platform, have also been granted FDA clearance. On top of the ultra-high frequency transducer (24 MHz), the Aplio i-series now includes a new 22 MHz hockey stick to visualize small and narrow areas such as fingers and joints or for interoperative procedures, as well as several new transducers for abdominal 3D, OB 4D, neonatal and vascular imaging. The premium Liver Analysis Suite on the Aplio i800 and the transducers on the Aplio i-series will be showcased at this year’s American Institute of Ultrasound in Medicine (AIUM) 2018 annual meeting in New York, March 24-28, 2018 (Booth #1600).